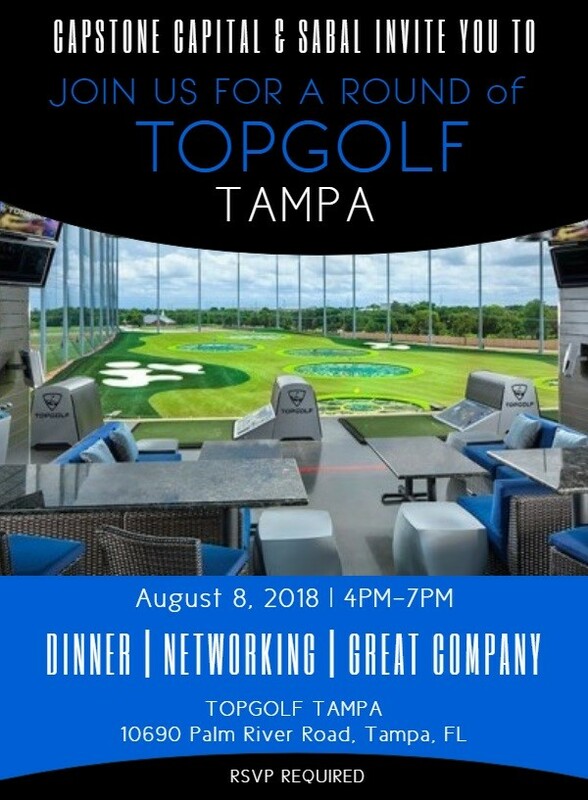 Join our Tampa team on Wednesday, August 8th for an afternoon of fun with one of our Freddie Mac SBL program lenders, Sabal Capital Partners! In the Tampa Bay area and want to join us? Email amanda@cscap.us for all the details! Content copyright 2019. SWEETWATERCAP.US. All Rights Reserved.